This edited collection of essays on the conceptual, political and philosophical importance of stillness is positioned within a world that has increasingly come to be understood through the theoretical and conceptual lens of movement. With contributions from leading scholars in the field, the diversity of this collection illuminates the multiplicity of ontological and epistemological registers through which stillness moves: from human geography to media studies, cultural theory to fine arts. With the help of luminaries such as Deleuze, Bergson, Barthes and Beckett, this book interweaves cutting-edge theoretical insight with empirical illustrations which examine and traverse a multitude of practices, spaces and events. In an era where stasis, slowness and passivity are often held to be detrimental, this collection puts forward a new set of political and ethical concerns which help us to come to terms with, understand, and account for (im)mobile life. 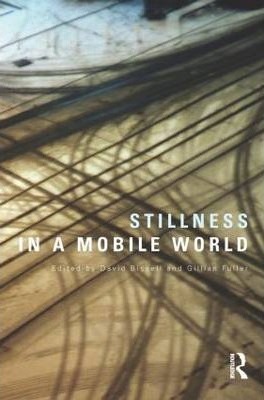 Stillness in a Mobile World in an essential source of reference for both undergraduate and post-graduate students working within disciplines such as cultural studies, sociology, mobility studies, and human geography. David Bissell is Lecturer in Sociology at The Australian National University. His research investigates relations between mobilities, bodies and technologies and has been published in a range of international journals, including Environment and Planning D: Society and Space, Transactions of the Institute of British Geographers and Cultural Geographies. Gillian Fuller is Senior Lecturer in Media, Culture and Technology at the School of English, Media and Performing Arts, UNSW, Australia. She is the author of numerous papers and chapters on issues around bodies, politics and architectures of mobility. She is co-author of Aviopolis: A Book about Airports (Blackdog Publications, 2004), and is currently completing a book on what movement does to meaning titled Transit Semiotics.